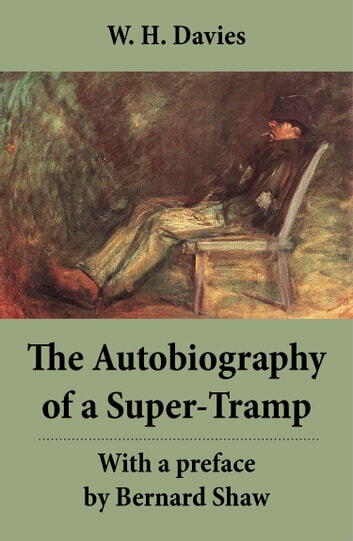 This carefully crafted ebook: “The Autobiography of a Super-Tramp - With a preface by Bernard Shaw (The life of William Henry Davies)” is formatted for your eReader with a functional and detailed table of contents. 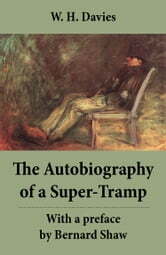 The Autobiography of a Super-Tramp is an autobiography first published in 1908 by the Welsh poet and writer W. H. Davies. A large part of the book's subject matter describes the way of life of the tramp in United Kingdom, Canada and the United States in the final decade of the 19th century. When G. B. Shaw first read the Autobiography in manuscript, he was stunned by the raw power of its unvarnished narrative. It was his enthusiasm, expressed in the Preface, that ensured the initial success of a book now regarded as a classic. W. H. Davies (1871–1940) was a Welsh poet and writer. Davies spent a significant part of his life as a tramp or hobo, in the United Kingdom and United States, but became one of the most popular poets of his time. The principal themes in his work are the marvels of nature, observations about life’s hardships, his own tramping adventures and the various characters he met.